Today I have a card I made while having the supplies out from yesterday card. I like to make multiple cards with the same supplies to get the most out of my crafting time. Sometimes I mass produce a design and other times I change up the design. I find this really helps me keep a health stash of cards on hand and get the most out a stamp set. Here is a close up of the details. This is great birthday card, nice colors too. Could be for a girl or man. I love the placement of the sentiment . Such a wonderful birthday card! Love the colors and the sentiment is perfect! What a great birthday card. I love the colors and the impression plate! Very, very nice, Tricia! 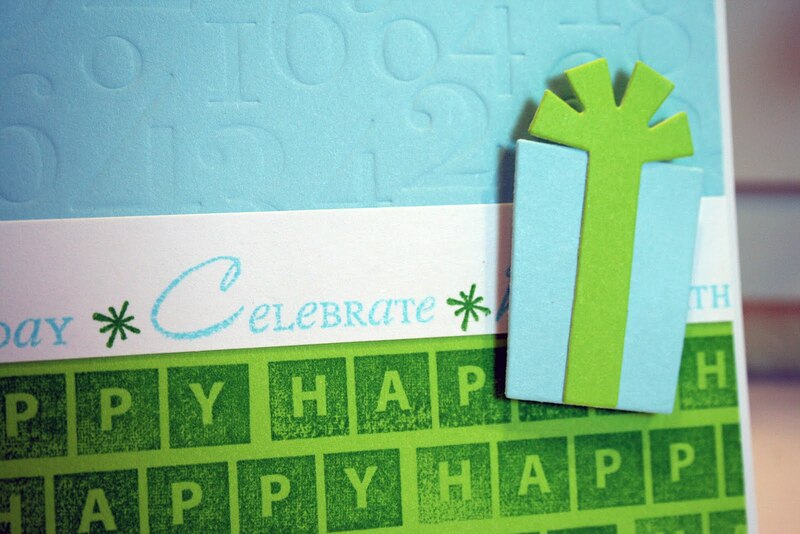 Both of these cards are excellent examples of CAS and I LOVE the blue and green together! 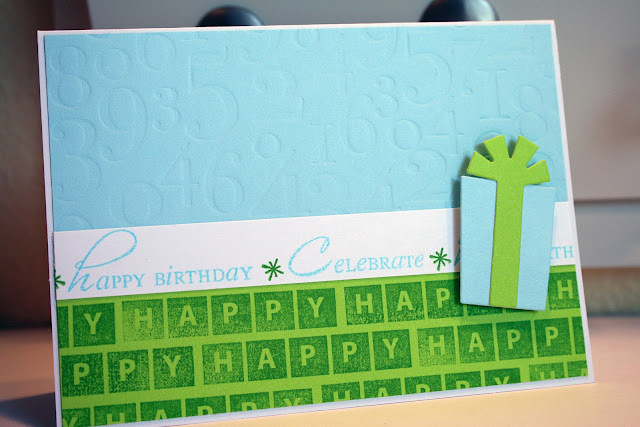 I love your colour combo, stamping and design! Great card! that little present die is so sweet. great card. Very cute! I just love the bright blue and green together! Great card! Love the colours and how you made a patterned paper. Oh this is so fresh and fun! I just love this. And love that it can be used for male or female. Hi! I’m a Mom to two little boys and a wife to my wonderful husband. I work full time but craft when I can which usually means the weekends, or when we don't have other things going on.